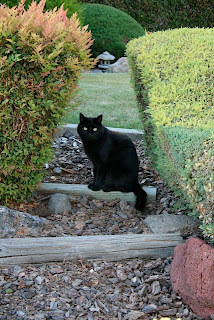 Just as rainwater will always find a way to get inside your house, cats will find a route into your garden. Cats like jungles. Your garden is a jungle. Therefore, Cats ♥ Your Garden. Besides digging up and making a mess around new, small plants, cat feces is not something you want in your vegetable garden, especially. "Dog and cat droppings often contain roundworms and other parasitic nematodes. Gardeners can ingest roundworm eggs from soil contaminated with dog or cat feces. Contaminated soil often is carried to the mouth by dirty hands, especially among young children, or the edible parts of fruits and vegetables. Infection by just a few roundworms usually causes no problems, but more severe infections may cause fevers, bronchitis, asthma, or vision problems. Another concern with cat feces is toxoplasmosis, a parasite that infects humans and other animals. Of all creatures, only cats are known to excrete oocysts--a form of the parasite that can survive in the environment for years and is resistant to most disinfectants. Toxoplasmosis is a serious concern for pregnant women, persons with AIDS, and patients receiving immunosuppressive treatments. Most others who contract toxoplasmosis exhibit mild symptoms, such as headaches, muscle aches, swollen lymph nodes, or sore throats. Humans become infected with toxoplasmosis primarily by injesting contaminated food and water." Pros: Barking is an initial deterrent. Cons: Dogs and cats eventually form a chilly alliance. Plus, have you ever seen cats gang up on a dog? I have. Guess who controls the garden after that skirmish? Adding distasteful or foul smelling products to the perimeter of the garden. Items such as cayenne pepper, fox or coyote urine. Pros: Will keep cats out. Cons: Works only for a few days; or, if it rains. Pepper is also an irritant that could harm the eyes of cats. They get it on their paws, then wipe their paws over their eyes. Also harmful to toddlers and dogs. Not recommended. Some suggest ringing the garden with lots of citrus peels. That keeps cats away...but attracts possums, skunks and raccoons. No. Although some websites tout this as a cat deterrent, you are risking the health of your own pets and children, as well as the cats. Mothballs are highly poisonous, says the ASPCA. Naphthalene, a chemical found in some brands of mothballs, is toxic to dogs, cats and other animals, and if ingested, can cause serious illness and even death. Another active ingredient found in mothballs, para-dichlorobenzene, can cause stomach upset and worse. Other bad ideas: plastic forks, handles buried, with the tines facing upwards; sharp pointed pine cones or thorny rose bush branches scattered throughout the garden. Pros: Cat will learn quickly to avoid the area. Cons: Causes possible animal injury. Moreover, humans do not learn as quickly as cats. Gardening becomes a painful exercise. 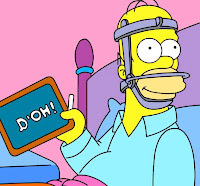 Think: Homer Simpson. Noisemakers with a motion sensor. Pros: Discourages cats until they get used to the noise. Cons: Do you want to wake up four or five times a night to the sound of recorded gunfire or cymbals? How about your neighbors? Impulse sprinklers equipped with a motion sensor. Pros: The noise and water initially deters cats. Cons: Water comes on frequently at night, possibly leading to fungal problems on the plants. Laying chicken wire over the surface of the garden before planting. Pros: keeps cats from scratching holes into the soil. Cons: forget about trying to work the soil or adding granular fertilizer afterwards. 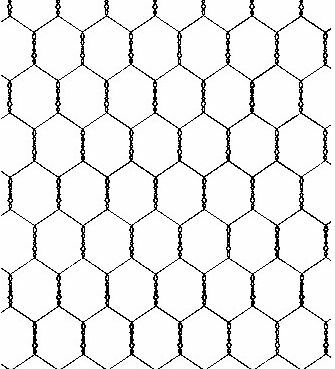 Also, the chicken wire tends to "disappear" below the soil surface, a hidden trap for a rototiller or spading fork. Pulling out large weeds may also bring up the chicken wire. 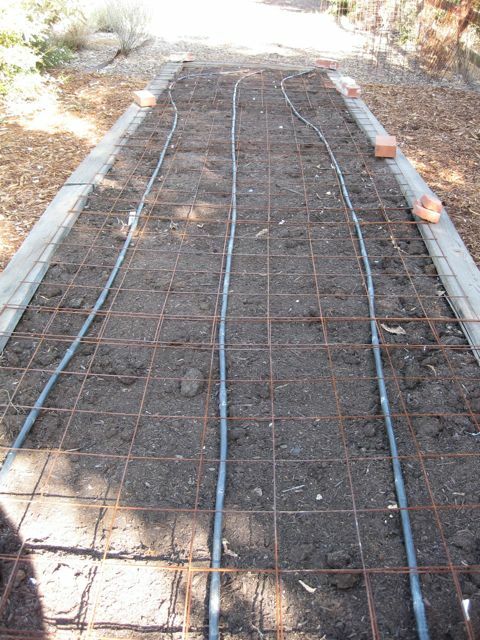 Six inch mesh concrete reinforcement wire, suspended about an inch or two above the garden surface. Cats are not fond of tiptoeing through the mesh openings, and are reluctant to "do their doodie" in such tight quarters. And if they do (rare, but it happens), it's left on the surface and easily picked up with a trowel and discarded. This type of wire is usually sold in 4'x5' sheets at home improvement centers. A good pair of wire cutters can custom fit these 12 gauge sheets to the garden bed. They are easily removed for tilling in compost or repairing the drip irrigation lines. 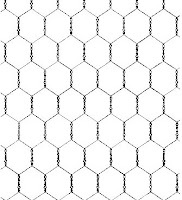 And the six inch grid makes a great template for seed or plant spacing. 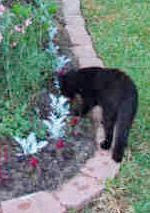 Think of cats and Bermudagrass as your backyard twins: neither can be eradicated from your garden... just controlled. Scarecrow (impulse sprinkler w/motion detector) works great. Kept Mr Kitty out for six months. He came back, so did Scarecrow. I got a blue jay with it too. No cat or big birds now. Lots of harmless laughs too. I found that if you place several stones in a planter, so the cat has no where to dig or comfortably to stand, they stay away. I had a problem with the Tire I use to garden in, I turned the tomato cages up side down and pressed them into the soil a little. So far I don't see signs of them using them as cat boxes. Once I plant I turn the cages right side up. The larger cages fit good inside a tire. Once the plants are large they really doc;t have any room to bother with it. I also use the black plastic mesh over my 5 x 5 raised beds. they can't scratch. I also built a plastic pipe frame that is about 5 ft high. I cover all sides with mesh. I just unhook the bottoms to get inside to tend the plants. Keeps out squirrels and birds too. Lavender has worked well for me in the past and is a great alternative for those who don’t want to risk using chemicals. Why cats dislike lavender is a mystery, because the scent is wonderful.